There are many problems with the recent article entitled “Florida Anglers Call for Goliath Grouper Harvest” on Outdoorhub.com. I want to address some of them as a graduate student of ecosystems science, politics, and policy primarily of the marine and coastal environment. The article starts out by asserting the following: “Florida Anglers are now calling for officials to open up the goliath grouper population to fishing.” This has the misleading effect of presenting the issue as though everyone in Florida who recreates on the ocean would like to see this stock open for fishing. 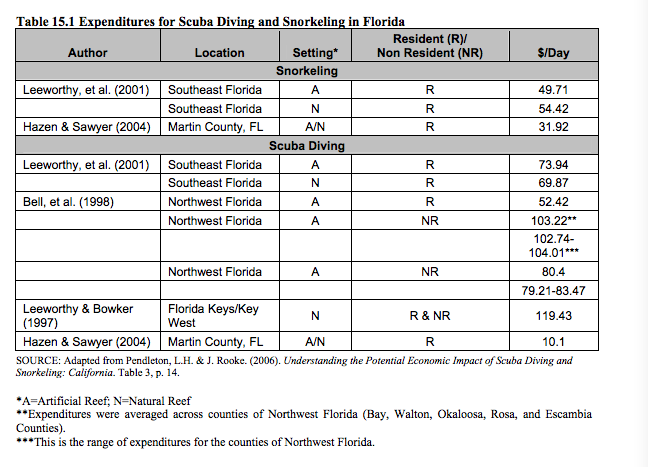 Though Florida leads the nation in recreational angler spending per person ($3 billion dollars annually in state) these voices are not the only voices, and they are not the only contributors to the marine economy, not by a long shot. One of the critical elements to my own research on nearshore fisheries and coral reefs in Indonesia and Malaysia is soliciting the perceptions of local fishermen in assessing environmental health. I believe in the power of the local resource user in any fisheries assessment. There are many examples in the literature of the usefulness and wisdom that the voice of the angler may provide in a stock assessment. That said, one of the most glaring problems with this article is that the two voices who give evidence for the stock’s recovery are spear fishermen. The problem with anecdotal evidence is just that, it is anecdotal. It is also biased by the fact that grouper are a large (read: highly visible) species that tends to aggregate (read: be in predictable places at predictable times) and because of this, it may give spear fishermen the misleading impression of total stock health, in terms of recruitment rates, biomass and so on. The reality is, this is a social, economic, political and scientific problem. When we only hear from the people who have major interests in and recreational hobbies that center on harvesting grouper, we are hearing one piece of problem with many pieces. It is an echo chamber. The problem with stories like these is that points 1 and 2 that I make above create a false impression that the stock has definitely recovered (though considerable uncertainty remains) and that all stakeholders want the stock reopened (though this is definitely not the case). Angler or ocean sportsman publications like this would do better to make a reasoned, economic, ecological, political case for the type of harvest they would like to see, instead of spreading misleading information to get clicks. They should also do better to inform their readers of the many dimensions to the conversation, so that they aren’t limited to the echo chamber. This entry was posted in Florida Ecosystem Management and tagged fisheries, fisheries management, Florida fisheries, goliath grouper, grouper, spearfishing. Bookmark the permalink.